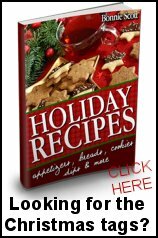 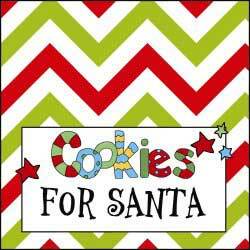 Big selection of Cookies for Santa signs! 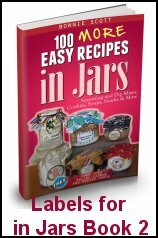 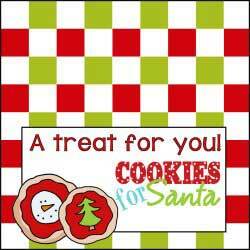 The fold-over signs will print out about 4 1/2 inches square - then just fold them in half to make the signs stand by a plate of cookies. 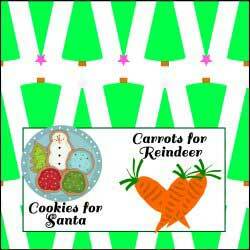 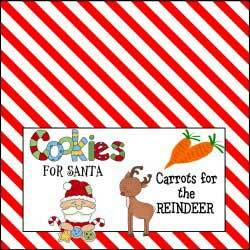 A few of the signs also have milk added in case Santa is thirsty and a few also include "Carrots for the Reindeer". 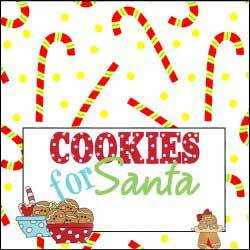 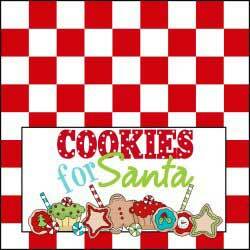 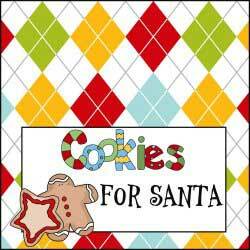 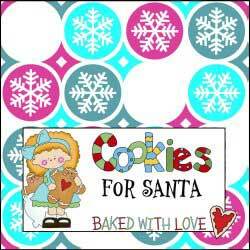 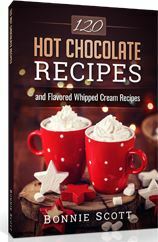 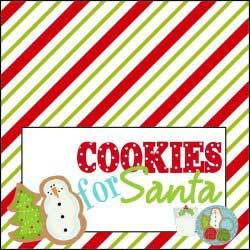 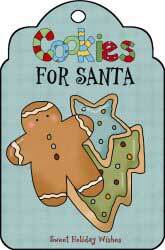 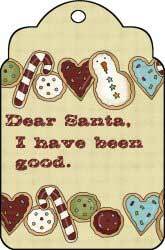 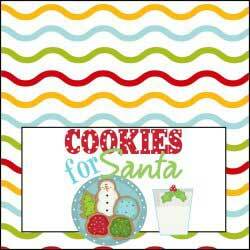 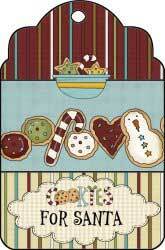 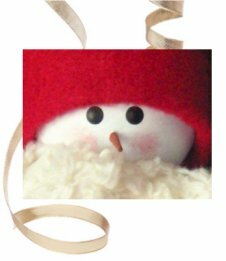 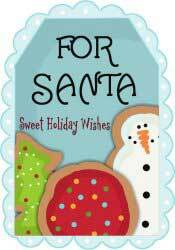 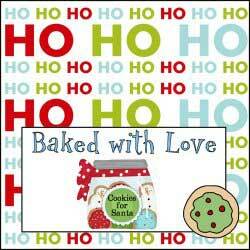 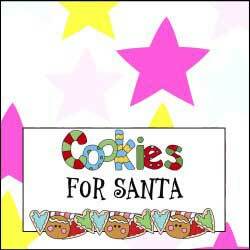 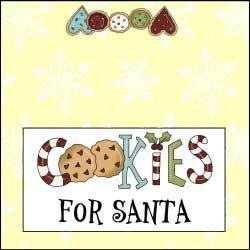 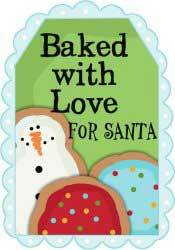 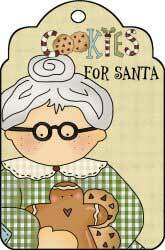 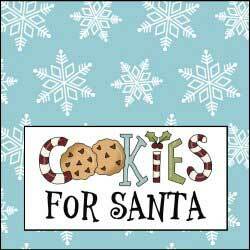 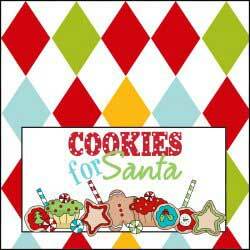 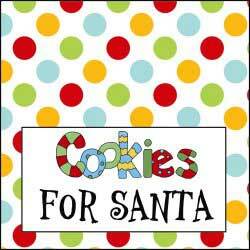 Also included are hang tags for Santa's cookies in case that type of sign is needed.